Chinchilla Deluxe uses farm-fresh alfalfa hay to provide the fibre content necessary to maintain intestinal health and prevent digestive upset. Fresh - straight from the farm! Feeding Directions: The needs of individual chinchillas may vary. 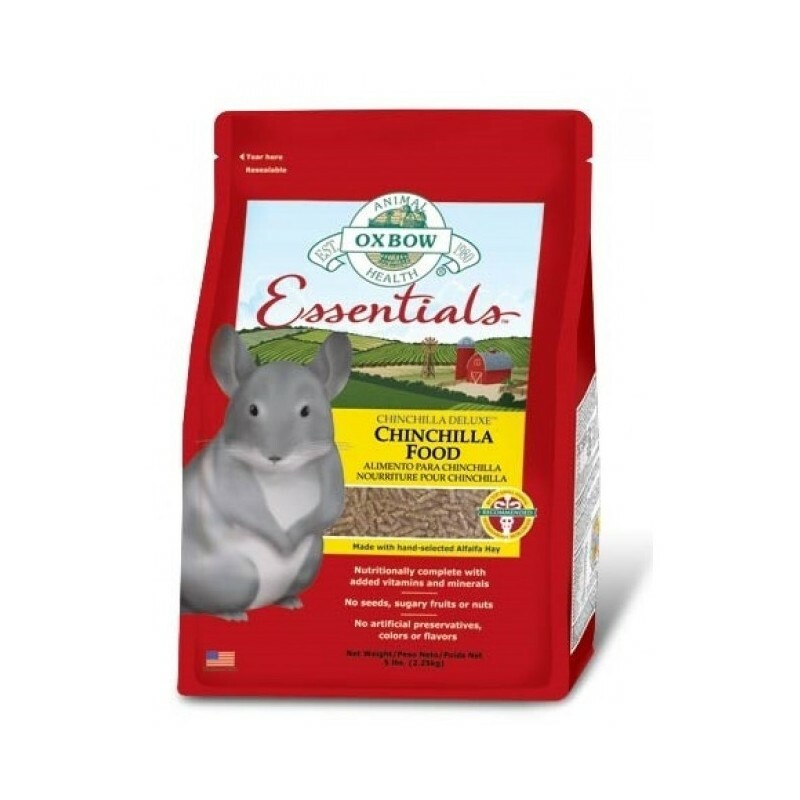 If your chinchilla is over or under weight, please contact your veterinarian for more specific feeding information. 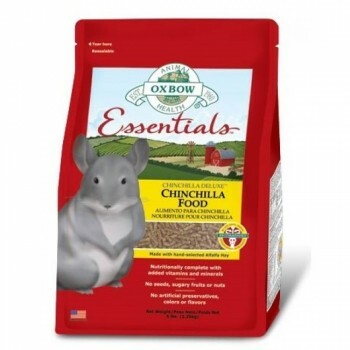 75% of your chinchilla's diet should be grass hay. 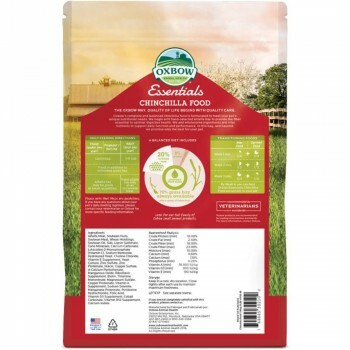 Growing (under one year): Unlimited pellets daily supplemented with free-choice grass hay and alfalfa. Mature (over one year): 1/8 cup pellets daily in addition to unlimited grass hay. Only feed alfalfa as an occasional treat.